Marie Hartmann has noted that this store was originally Pavey’s Store. 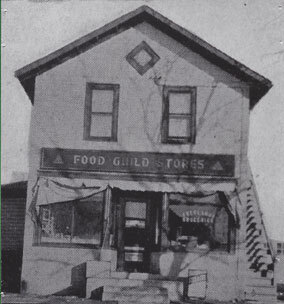 Freeland’s Grocery, located at 3751 Alabama (the corner of Oxford and Alabama), opened for business on April 19, 1919 by John and Isabelle (Belle) Freeland, who lived at 3761 Alabama. Both buildings were built in 1918. John Freeland was born in Norway in 1872 and came to the US in 1886. 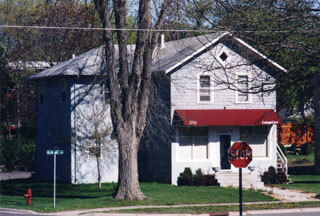 In 1930, Alvin Freeland and his wife Alvira were members of the household. Another Freeland was Irwin J., who lived on Goodrich and then 2900 Yosemite. Irwin served in the Navy in WWII and worked for the Fire Department. His wife Ethel worked at Brookside Drug. The photo above was taken from the 1938 Echowan, which indicates that it was popular with the high school kids. Beulah closed closed the store on July 15, 1977 with plans to travel. 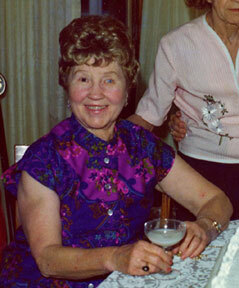 She died in 1992. Contemporary photo of Freeland building.